Corral Basic Fencing Wire offers very durable and well tried stainless steel conductors. Excellent price/performance ratio for short fence lines. Length: 500 metres. Resistance: 13.78 ohms. Conductors: 3 x 0.16mm stainless steel. Breaking strength: 60kg. 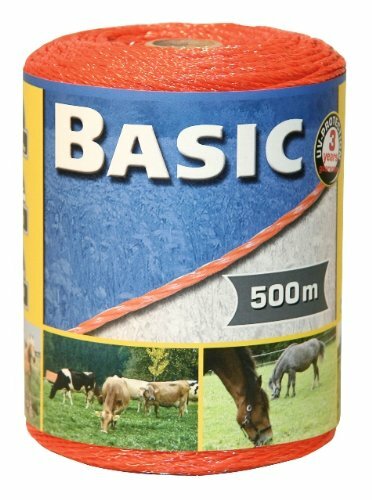 There are currently no questions for Corral Basic Fencing Poly Wire - be the first to ask one!